for Huffington Post about her pregnancies. The story follows Regan through her journey of being pregnant with her first child all the way through her fourth child. "Still keeping up with the regiment of the house, a husband, two toddlers, two dogs, 20 students every day while being pregnant was typical; however, we decided to make things even more exciting. As our family continued to grow, our home and space continued to shrink. So we decided that we needed a bigger house. Now not only was I dealing with a zoo, but trying to pack up an entire house while painting and organizing and setting up our new one." Infographics are one of the newest trends to explain data. Their bright colors, graphics and large text can help you understand data better. Here at USHealthTests, we have put together of a few of our favorite infographics for pregnancy. With the World Cup officially up and running for the past few days we are just now getting the results for all of the players drug tests. It was announced before the World Cup began that all the players would be getting either urine, hair, or a combination of all drug tests. FIFA says all 800 players that have given samples in its World Cup doping program tested clean so far.FIFA also says players chosen for samples after the first nine matches- including the Switzerland-Ecuador early kickoff on Sunday - tested negative. The figures include samples from 91 percent of players included in the 30-man preliminary squads for the 32 teams.FIFA reported no problems getting blood and urine samples to the World Anti-Doping Agency laboratory in Switzerland. 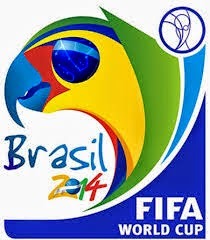 FIFA's chief medical officer Jiri Dvorak says ''all worked well including the transport from Manaus.'' Italy played England in the remote Amazon jungle city on Saturday. WADA revoked the Rio de Janeiro lab's accreditation last year. This article was originally written by Fox News. You can read it Here. HCG pregnacny tests look at the amount of HCG in your urine. To learn more about how pregnancy looks check out our post on it. Sometimes even though you are pregnant, you can get a false positive if you are too far along. Pregnancy tests measure the amount of HCG in your urine and if there is too much hCG, the pregnancy test will actually say negative because it cannot process the large amount of HCG in your urine. As pregnancy progresses, there are actually different variant forms of hCG that begin to appear in the urine. After about 5 weeks of pregnancy (i.e. 3 weeks after the expected period) concentrations of hCG beta core fragment are higher than all other forms of hCG. This is perfectly normal. Unfortunately, the concentration of hCG beta core fragment can saturate one of the antibodies used in the assay in certain pregnancy kits, and the other antibody doesn't recognize the beta core fragment. As a result, no sandwich forms and the test is read as a negative. The further into pregnancy a woman is, the more likely that this false negative will occur. Similar to the hook effect, the variant hook effect can be confirmed if testing shows a positive result after diluting the sample. The audio transcript form Clinical Chemistry explains more about the false negative results in their article False-Negative Results in Qualitative hCG Devices Due to Excess hCG Beta Core Fragment. The article interviews Dr. Gronowski. This podcast done by Clinical Chemistry interviews Dr. Ann Gronowski. Dr. Gronowski is an Associate Professor in the Departments of Pathology and Immunology and Obstetrics and Gynecology at the Washington University School of Medicine. 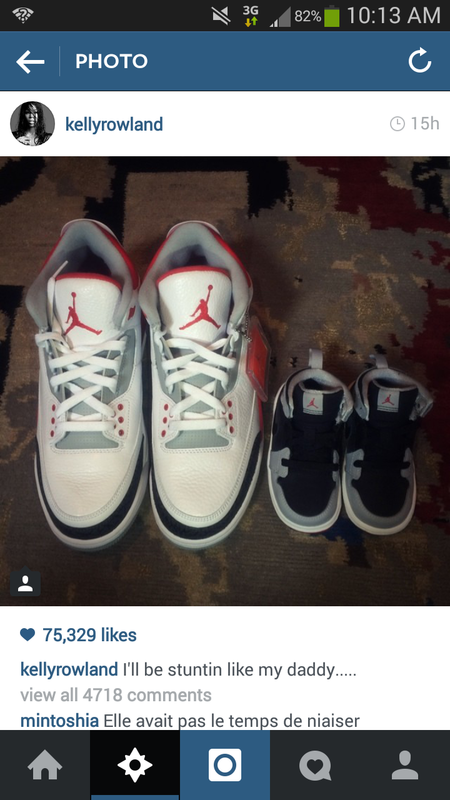 Yesterday Kelly Rowland posted one of the cutest and rather coy pregnancy announcement on Instagram. The 33-year-old Destiny's Child alum and her husband Tim Witherspoon must be expecting a baby boy. "I'll be stuntin like my daddy," Rowland wrote in a caption that accompanied the suggestive snap. Rumors that the newlywed "Kisses Down Low" singer may be expecting have been rife this week after she was spotted wearing a number of loose-fitting outfits. Rowland and Witherspoon tied the knot last month in an intimate ceremony in Costa Rica. The singer told Us Weekly that the wedding was "perfect." Seems like Kelly is joining a long list of current celebrities that are pregnant. So far in 2014 Nashville's Hayden Panettiere, Mila Kunis, Khloe Kardasian, Christina Ricci, Rachel Bilson, and Alyssa Milano have announced their pregnancies. Looks like everyone is catching baby fever! All pregnancy tests work by detecting a certain hormone in the urine or blood that is only there when a woman is pregnant. This hormone is called Human Chorionic Gonadotropin (HCG). It is also called the pregnancy hormone. hCG is made when a fertilized egg implants in the uterus. This usually happens about six days after the egg and sperm merge. But studies show that in up to 10 percent of women, implantation does not occur until much later, after the first day of the missed period. The amount of hCG rapidly builds up in your body with each passing day you are pregnant. SurePredict tests work by testing for Human Chorionic Gonadotropin (HCG). HCG is a hormone produced by a trophoblastic tissue and it appears around the 8th to 9th day after ovulation. In a 28 day cycle with ovulation occurring at day 14, HCG can be detected in urine or serum in minute quantities around day 23, or 5 days before the expected menstruation. The hormone concentration doubles approximately every 2 days and peaks 7-12 weeks after first day of the last menstrual period. IN normal subjects, HCG is urine provides an early indication of pregnancy. The elevated HCG levels are also associated with trophblastic diseases and certain nontrophoblastic neoplasms. This, the possibility of other diseases must be eliminated before the diagnosis of pregnancy can be made. The detection limit for the HCG test kits is 10 mIU/ml HCG. Urine samples equal to or greater than 10 mIU/ml will be tested positive. Samples containing less than 10 mIU/ml HCG may also produce a very faint positive line. 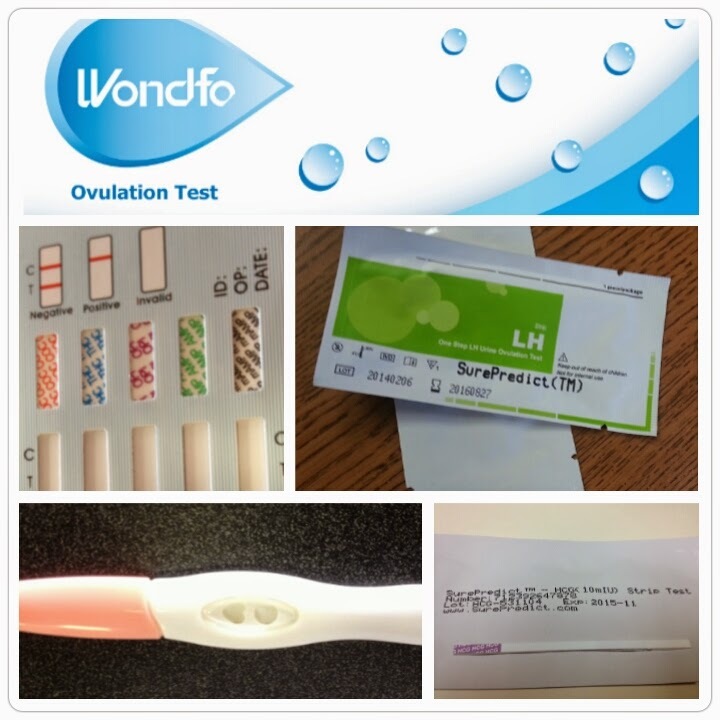 You can read and download the instructions that come with our SurePredict pregnancy and ovulation tests here on our website.